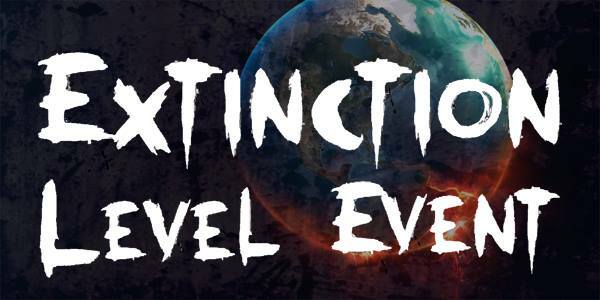 What is Extinction Level Event? Completely separate from Seventh Kingdom, a fantasy game, Extinction Level Event (ELE) is a survival horror game of the highest caliber. It offers a truly unique experience where players are presented with a dooms day scenario, and tasked with surviving it by any means necessary. Each ELE event is unique, taking place in a different time and place. Even the themes change by the event, meaning one month it is zombies, and the next aliens. The events are non sequential and stand alone, each offering an unique experience that will haunt you to your very core. Can you survive with the tools you are given? Would you want to? Only one way to find out. Come check us out at our next ELE event! First come first serve so be sure to Pre-register to reserve your slot! ELE employs the use of nerf guns and boffer (foam) weapons. Since safety is at the top of our priorities, weapons, props, and items are provided by the game’s staff unless otherwise noted on the event page. This means you don’t need bring a nerf gun or boffer sword to the event. However, you are responsible for some basic costuming. Since the theme changes by the event, we will contact all participators before the next event with a list of what they need. These requests are often very simple, but will all share one quality: they must be disposable. There will be slime, fake blood, mud, and a whole host of effects that will try to destroy your clothes. In-game items will be marked with an orange circle sticker. This means you can interact with them at will. Come to the game well fed. Bring a snack and a change of clothes to leave in your car in the event of an emergency or for after the game is over. Otherwise, you will be wearing your costume and finding food in-game. See the Event page for details regarding what is needed for next event. Don’t forget to bring any medicine you may need with you. NPCs should bring enough food and water for the full weekend. There is no kitchen or kitchen staff at ELE. Bring food that doesn’t require cooking. Bring extra changes of black clothes, socks, bug spray, etc. No clothing with brand names unless asked or cleared by staff prior. Based on the event we may request you bring something to use as a costume in additional to your black clothes (I.E. At a zombie event we might ask you bring old torn shirts).